That unexplained creeping sensation, worry with or without cause that does not go away. 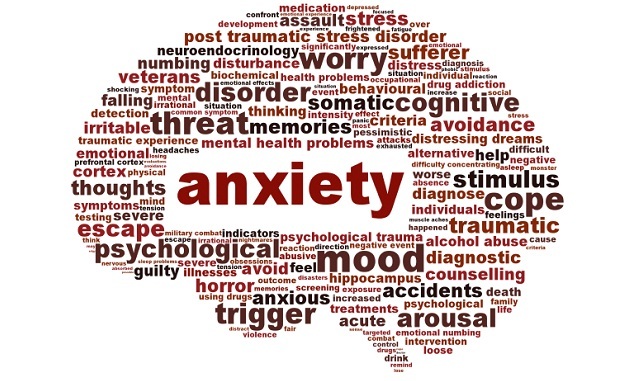 There are many views or explanations for what anxiety. It is traditionally thought of as a mental or psychiatric disorder in the domain of medicine or psychologists. This placement has led to anxiety being pigeon holed as either a higher order cognitive disorder which needs to be ruminated on and discussed or treated as a chemical deficiency such as a lack of serotonin and needs an application of medication, perhaps an SSRI or similar to correct the deficiency. These approaches have met with some success thus have become the mainstay of treatment. Of note as your brain is a learning organism, rehashing your possible emotional triggers with repetitive talk in “therapy” may actually be re-enforcing the cognitive loop, locking it in. What if the above was not the case, what if there was an organic cause of anxiety? What if a brain dysfunction, sensoneural mismatch, or immune dis-regulation leading to inflammation was the cause? Current investigations believe these possibilities to be more correct and are giving hope to thousands of people dreaming of a life without dread. Jaak Panskeep has published that anxiety is one of the 7 primal emotions and is hard wired into the old parts of the brain. This suggests that instead of anxiety being a negative brain state, that it is part of our neural networks and is essential for being human; our survival and driving us to adapt. Something must therefore be driving this brain network to over fire and create havoc. Current evidence suggests two common causes for anxiety that are not commonly considered but are common causes – the first is a balance disorder. Injury to the inner ear nerves from head knocks that can be sustained playing sport or around the house have been shown to cause anxiety due to an inability to maintain your balance in your environment, or from difficulty maintaining your eyes on a target. Initial symptoms can include swaying, rocking, floating, or light headedness, which can then progress to fear states that are recognized as anxiety. Fortunately, specific neuro-rehabilitation exercises have been shown to have positive impacts on these symptoms and the overriding anxiety disorder. Brain/immune dis-regulation is shown to cause many cases of anxiety. 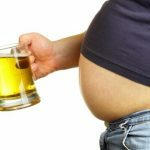 There is strong evidence that poor gut function and bad eating habits leads to bad brain function and anxiety. Current studies show that abnormal gut bacteria can increase inflammatory chemicals in the brain which leads to depression and anxiety. Supplementation of specific probiotics and correction of diet and/or lifestyle issues has been demonstrated to resolve the symptoms such as vigilance. Blood sugar dysregulation and hypoglycemia was also associated with mood and behaviour changes which was reversed with appropriate lifestyle intervention. If you are suffering with anxiety perhaps it’s time to get a fresh perspective of why this is occurring and look for another option to enhance your health. Drugs and cognitive therapy may not be the success you need. It’s time to re-balance your brain, your health and life. Remember “Put the sugar down”!